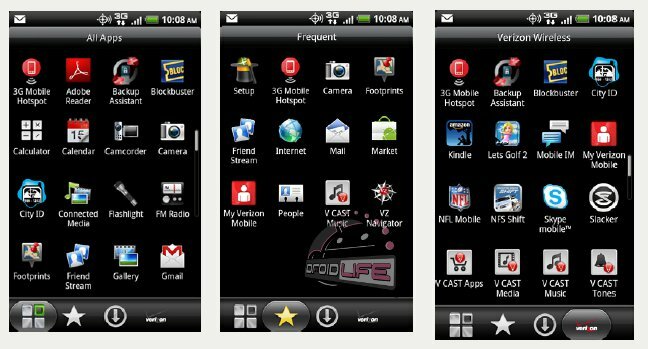 This is probably just a built-in feature for Sense 2.1 that will come with the DROID Incredible 2, but it’s also one of the first times we’ve really seen Verizon tweak HTC’s skin in such a way. 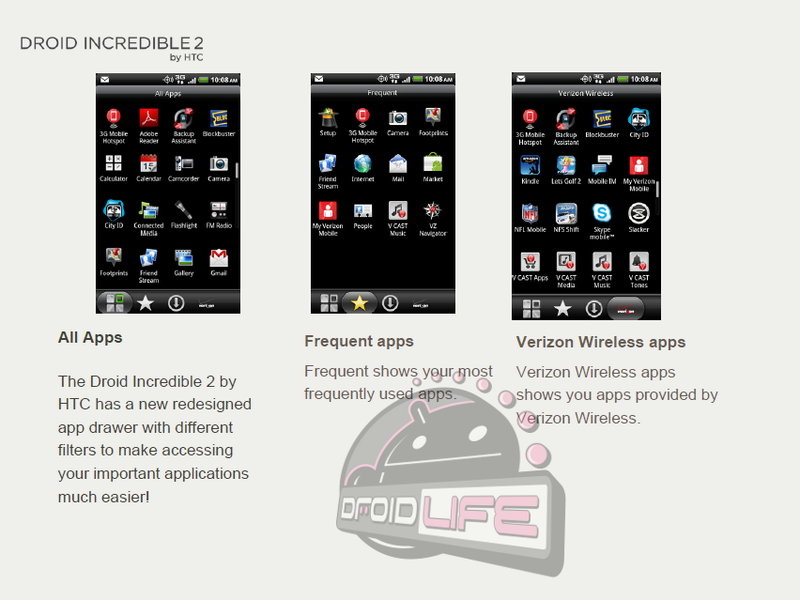 What you are seeing above and below, is the new app drawer that will come on the Incredible 2 and will allow different filtering options (all, frequent, and downloaded), including a way to sort by Verizon’s pre-loaded apps which seem to be piling up by the day. I have to admit that I’m glad they are including the frequent and downloaded apps filters, but I’m guessing many of you will not be using the Big Red inspired one much. One more pic after the jump.